Well what can we say about London England? Big it most certainly is, but cheap it definitely is not… unless you know where to look of course. Our budget itinerary for one, two or even three days in London shows you how to get the most out the city with what to do on each day. Those visiting for one day can pack in the biggest (and cheapest sights), whilst those staying for a second can take in a bit more and visitors staying for a third day can venture out a little to experience a bit more of the city. This budget one, two and three day guide will ensure you truly get the most from your time in the Big Smoke. Whether you have one day in London, or this is the first of three, you’ll want to tick off the big boys straight away. Those on a budget can leave out certain attractions as they are simply too pricey and often too over-hyped (for example London Zoo, London Eye, Tower of London and Madame Tussads). 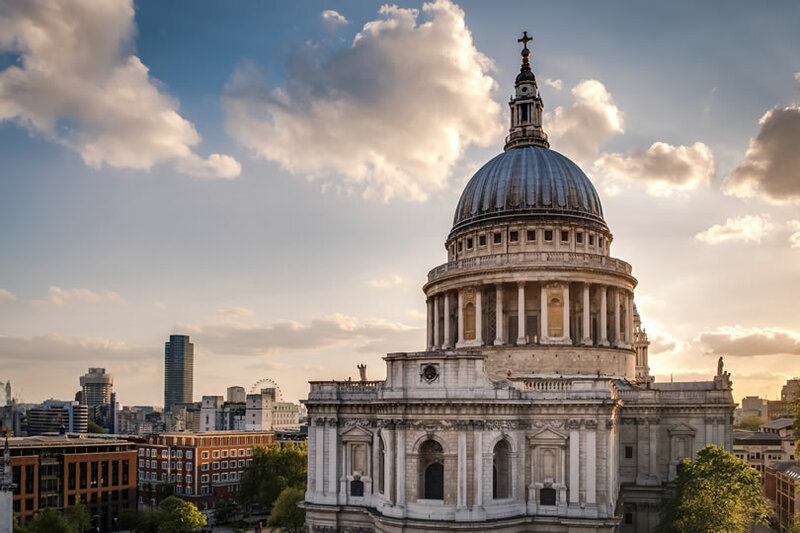 Most of the major sights are within Zone One of Central London, and many of them can be seen from a London sightseeing tour bus or from a hop-on hop-off option, neither of which are cheap. A far more affordable option is to buy a one day bus pass and simply plan your journeys well and walk where possible. A one day bus pass for London is just £5. Where you start will depend entirely on where you are staying or which station you arrive at, wherever that is, take a bus to Trafalgar Square, possibly London’s most central point, and get a coffee whilst you watch the hustle and bustle of Londoner’s getting to work. Walk down The Mall (to the southwest of the square), until you get to Buckingham Palace. Entry to the palace is not cheap, so instead just take a walk around, see the guards and soak up the atmosphere. After this walk back to Trafalgar Square where you’ll find, to the north, the (free) National Gallery. Pop in for a quick walk around, making sure you look at the Haywain by Constable, Sunflowers by Van Gogh and the various depictions of bathers by Monet, Cezanne and Suerat. By now it should be mid-morning, take a bus (number 88) from Trafalgar Square to the Tate Britain in Millbank to see even more masterpieces such as Ophelia 1851-2 by Millias and Pelagos by Hepworth. After this walk up to the Palace of Westminster. On the way pick up a sandwich and sit and enjoy it on Parliament Square for perfect views of the Houses of Parliament and of Westminster Abbey. There’s always a lot to see when you’re here, even if it’s catching sight of MP’s scurrying about or a demonstration in action. After lunch take a bus, or simply walk, to the Imperial War Museum which is free to enter and well worth a visit. Late afternoon head to Leicester Square and find a theatre ticket booth to get a bargain for a later show, then walk to Piccadilly Circus, through Soho, through China Town and over to Covent Garden (all of which are much closer than you think). Soak up the atmosphere in Covent Garden and then find a good, budget pre -theatre meal before heading to your West End show. If you’re staying another day, it will be worth getting a full London Travelcard to get around, as the places you go are likely to be further apart. Start your day in Borough Market where you can pick up an excellent coffee and get a true taste of a London foodie market. From here walk along the Bankside to see the outside of the Shakespeare Globe before heading to the (free to enter) Tate Modern where highlights include Pablo Picasso’s Three Dancers and Ai Weiwei’s 22ft tall ‘Tree’. Afterwards walk onwards to Waterloo where you can get a bus straight to the British Museum. This oft-overlooked (free) museum is a gem for history fans and houses the famous Elgin Marbles (Parthenon Sculptures), the Rosetta Stone, the Flood Tablet and an Easter Island Statue. Buy a cheap takeaway lunch from a Tottenham Court Road café and take the tube to South Kensington where you can eat on the green outside the Natural History Museum and then choose between the Natural History, Science Museum or V & A to spend the afternoon. All are free to enter and will appeal differently according to visitors’ interests. If you have time afterwards (now early evening) pop into nearby Harrods, but if not simply take the tube to Camden to wander around the market stalls before they are packed up for the night. Watch the pubs swell with tourists, locals and commuters alike in one of London’s most buzzing nightlife areas and stay for a drink or three. So far you have done many of the major free sites and taken in much of the nightlife too. Use today to travel even further afield and see some of ‘real’ London. We’ll leave the exact morning details to you, but places worth heading to include Greenwich in Southeast London, home of the famous National Maritime Museum (free) and the Royal Observatory. Brixton is also worth a visit, and a great place to pick up some Caribbean street food for lunch. Alternatively venture west to well-heeled Notting Hill and take a walk down Portobello Road with its famous antiques market. You’ll easily be able to pick up a cheap bite for lunch to eat on the go. 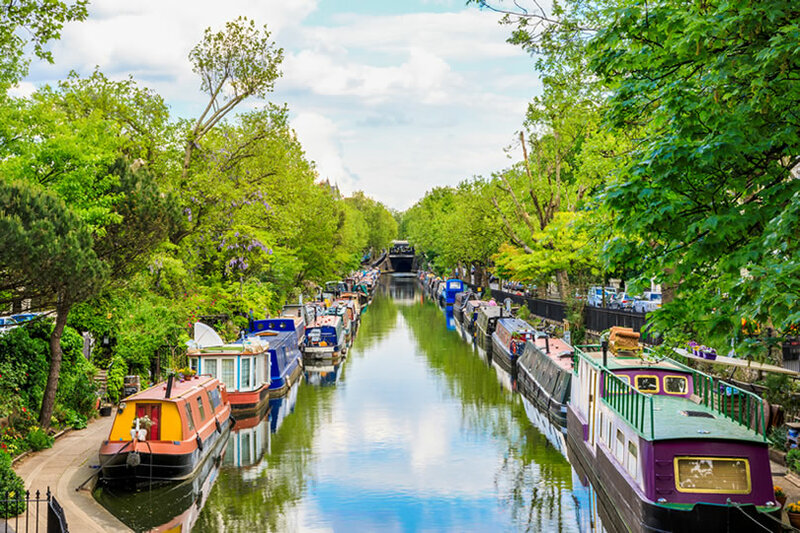 Another option is to go to Little Venice, and walk along Regents Canal until you get to Regents Park- another fine spot for a picnic. 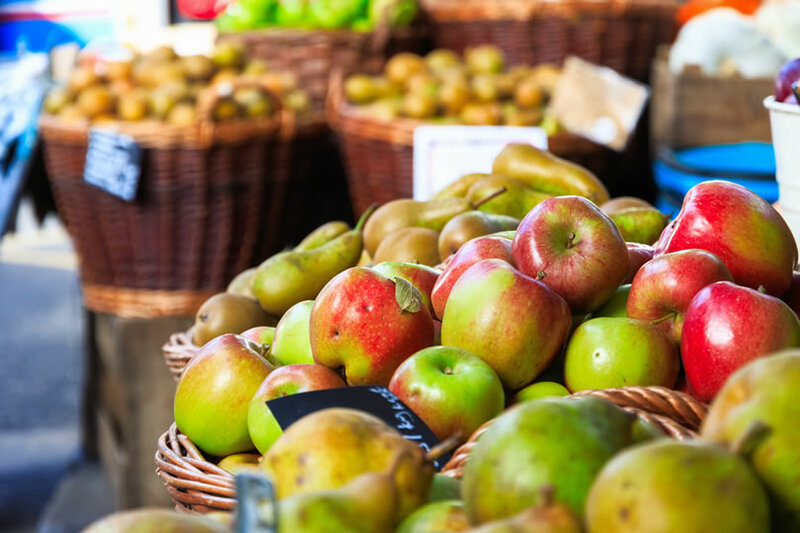 There are always plenty more opportunities to see how the other half live in London; take a picnic to Hampstead Heath or instead return to Kensington or nearby Knightsbridge or Chelsea and take a walk down the famous Kings Road. Window shopping in the boutiques of Mayfair, Fitzrovia and Bond Street may also appeal, or simply the hundreds of shops along Oxford Street and Regent Street. In the afternoon take the tube to the Southbank Centre from wherever you are (to either Embankment or Charing Cross) and walk around the free exhibitions and maybe even catch a free concert at the Royal Festival Hall. If you have time, travel onwards to the Barbican and walk around any more free exhibits before popping into the brilliant (and free) Museum of London. Come evening time head to Brick Lane, in London’s East End, home of the commonly spotted ‘London Hipster’ and also London’s foremost Banglatown. This is a great place to finish the day with a curry before heading to one of the many bars here or in nearby Shoreditch. Drinking and clubbing Shoreditch isn’t cheap so stick to free to enter bars and avoid pricey cocktails or ‘craft’ drinks. In addition to this itinerary, there are plenty of other things you can do in London to save yourself money. Get hold of a second hand map of Central London in case your phone runs out of juice. This will stop you taking lengthy wrong turnings and possibly forking out for a black cab (something your really don’t want to do). Also come off the main hubs and streets to buy food, drink and coffee, even just a bottle of water is much more expensive next to a major tourist attraction than it is just a 100 meters further away. London is so full of free attractions that there is no need to visit any that you need to pay for. If you do want to see the Tower of London or St Pauls Cathedral, you can have a pretty good look from the outside without forking out to go in. If you really want to save a lot of money, take a leaf out of Londoner’s books and enjoy a beer in the park of an evening rather than a bar (only applicable in summer!) Whether you go for one, two or three days don’t worry if you haven’t done it all, because most Londoners still haven’t done it all. Just be mindful of the price of certain items such as travel and eating out. The best bit of the city is the people and you’ll experience so much and understand the city best when you’re walking or taking the bus from A to B, so be sure to soak it all up as you make your way around. 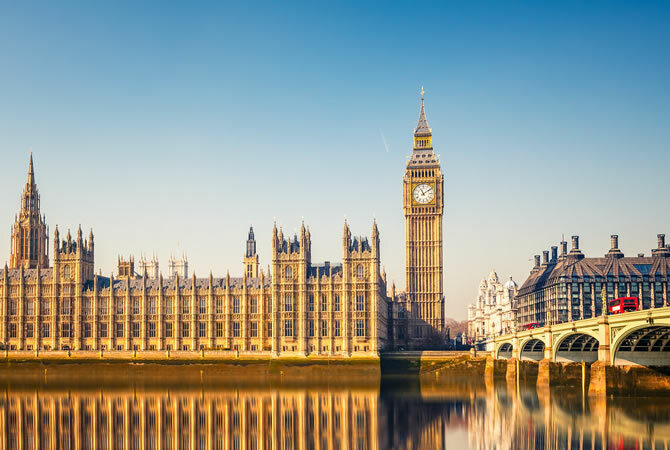 These one, two and three day itineraries include nearly all of the major free attractions in London and should see you well for your trip. Remember that London is a 24 hour city, so you really do have all day to explore it! Day Trips from London UK – Where to Go ?